Our industrial coat rack is a set of wall mounted hooks, perfect for your entrance hall or office space. 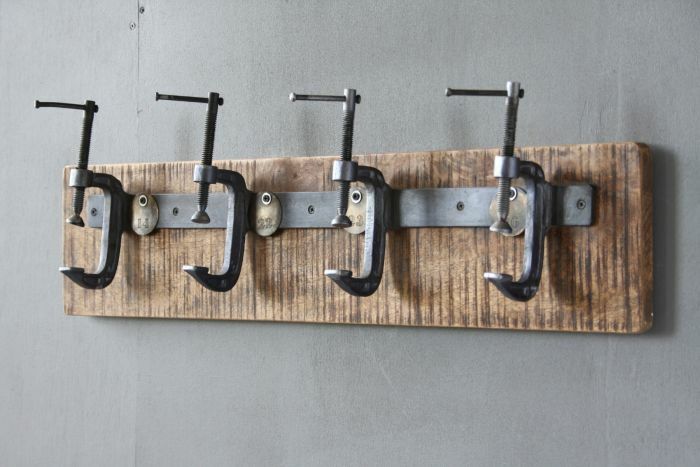 The hooks are made from vintage iron G-clamps fixed to a contrasting wood. The industrial coat hanger is a nod to the popular reclamation style.